8th day to strike...Glo with all her might! I didn't hear chanting today...people are tired. The strikers think that the strike will last at least until January. I got a chance to talk to Hope... I use to work at the spa she attends (I was her message therapist) I last saw her at a Christmas Party and her husband played the guitar...he use to be in the band "Wings" with Sir Paul . and don't forget the Booti-mus-maximus! The mother wants Zahara back? Let me get this strait. Zahara was half dead starving at a orphanage swatting flys in Africa. Angelina and Brad took the child to the States and took care of her. 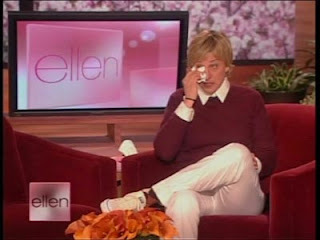 And now the mother wants the child back...that's just as stupid as Ellen crying over a dog she didn't want! Why would the mother want the child back. Just because Angelina use to wear Billy Bob Thortons blood around her neck ? And Angelina will kiss her brother in the mouth like he was her cousin.. and because she talks about world Peace but doesn't talk to her father....and the fact that she is shacking up with a handsome actor (Brad Pitt)who had an affair then left his All American Girl wife(Jennifer Annistion) to be with her. The mother has a point.....No no no. Zahara is better off with the Vampire and the good looking whore! I will strike all of my African products until this matter is cleared! NO TACOS and NO LION KING FOR ME!